With years of experience performing moves in San Francisco, our team of locals considers you more than just a customer – we’re neighbors! 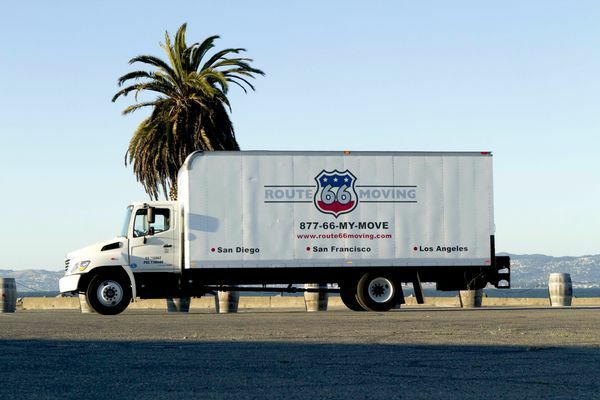 Our friendly staff is here to make sure your San Francisco moving project goes smoothly. Established in 2008, Route 66 Moving & Storage was founded with the aim of providing the best possible customer experience in the moving industry. To meet this objective, our teams are staffed with local residents who are full-time employees and fully trained moving professionals. We believe that maintaining a well-trained full-time staff allows us to provide a superior moving service to customers like you, whereas freelancers or temporary labor used by some other movers can often lead to mistakes or unsatisfactory work. Our founders spent years in the moving industry before starting Route 66 Moving, learning and perfecting their skills along the way. Through our hard work, we’ve been able to leverage our success to grow our company, expanding beyond our initial San Francisco Bay Area office and into other California locations like Los Angeles, San Diego, and Orange County. Our philosophy as a moving company is to make your complete customer satisfaction our ultimate goal, and we’re proud to say that our hard work has earned us recognition from the Better Business Bureau as an “A” rated moving company.